Bouldering is a fun way to spend the day with friends and unleash your inner Spider-man. Although the summer temperature is climbing each day, it does not discourage die-hard outdoor sports enthusiasts from doing some climbing of their own. Bouldering is an exciting sport that involves climbing a large boulder without any harnesses or safety lines. 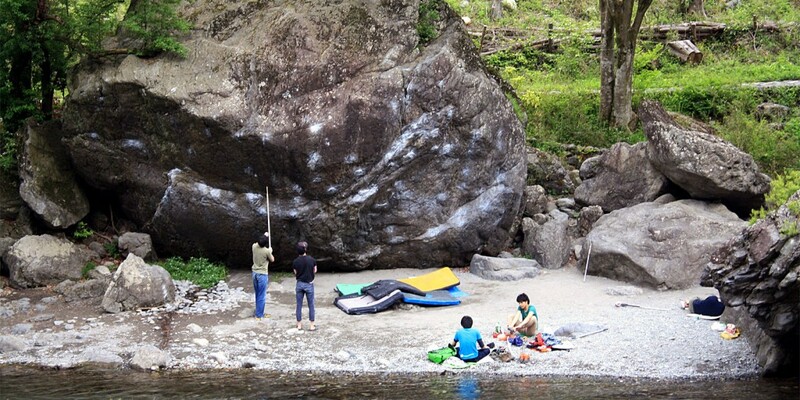 One place to try out bouldering is around the Tama-gawa river, just outside of Tokyo. Mitake Station in Ōme City is a great access point to the river from Shinjuku Station. 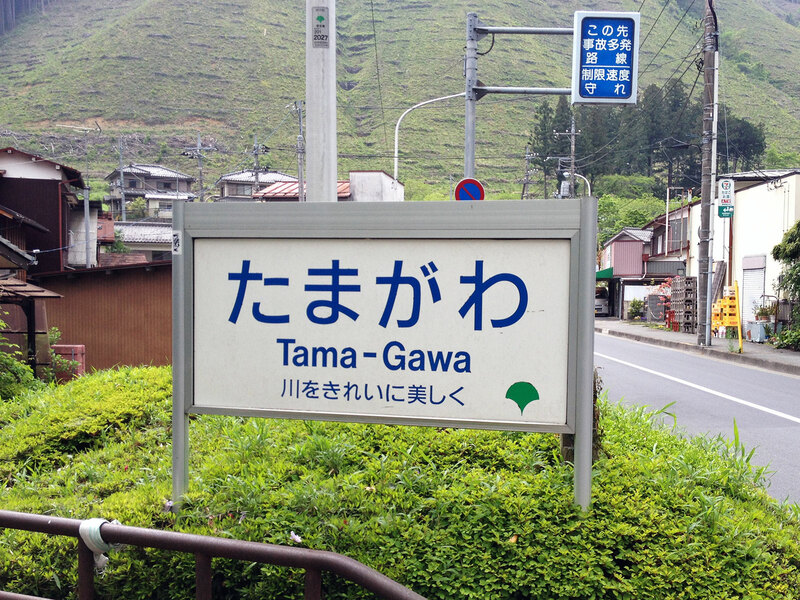 On a nice, clear day the cool waters of Tama-gawa invites many travellers from Tokyo to enjoy picnics and other outdoor sports like fishing, kayaking, rafting, and hiking. There is something for everyone here, but what makes this area popular for climbing are the many large, jagged boulders along the river. The boulders themselves are not very tall, and portable mats can be rented and put down under the climbers to help protect them in case they fall. Even though we are not climbing very high, a fall can still be dangerous so a great amount of strength and concentration is required. However, if you’re willing to try it, bouldering is a fun way to spend time with friends, explore the beautiful nature around Japan, and get in shape. So you go first and I’ll catch you if you fall. 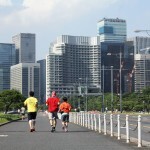 For those looking for a more urban enviroment to try bouldering, which is definitely recommended for beginners, there are several places in Tokyo. 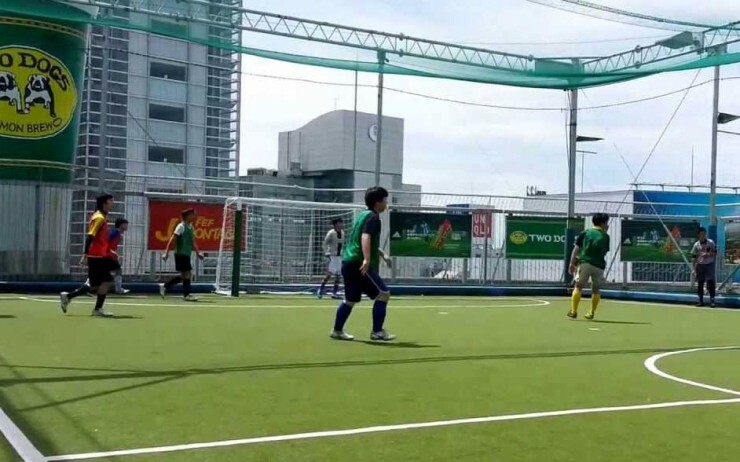 One place is the very popular Miyashita Park in Shibuya. Although this park is more known for its futsal fields, skatepark and dancing area, the small bouldering and rock wall at the park is a great place for beginners. 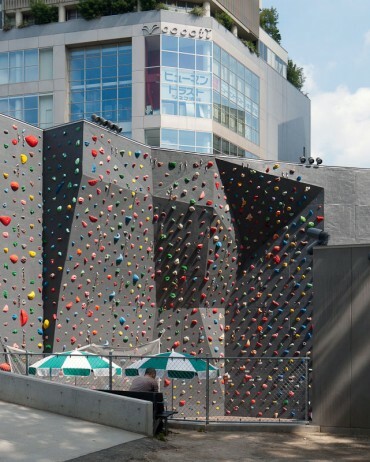 Its affordability and accessibility is what makes it very popular so be prepared for a wait, but there is an undeniable coolness factor from outdoor climbing in the middle of the city. Although outdoor bouldering can be a lot of fun, sometimes in the late summer months, it can be hard to beat the heat. 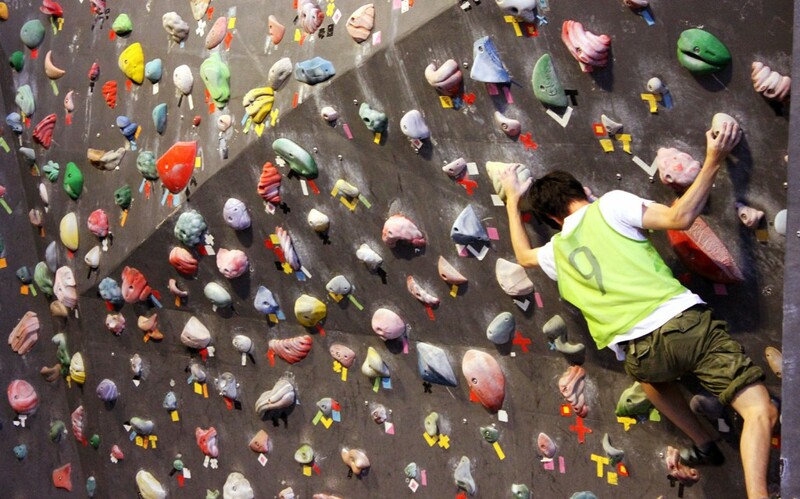 Fortunately there are more than enough indoor bouldering gyms in Tokyo to fit anyone’s needs. Gyms for all people from beginners to experts are only an internet search away, and each of them has their own unique atmosphere. B-Pump is a bouldering gym that can be found in Akihabara and Ogikubo that has a various amount of different walls, including one that has built in lights red lights that simulate the feeling of climbing the wall of a volcano. These walls also have areas for different skills levels, and their website even makes it easy to sign up for a beginners lesson. 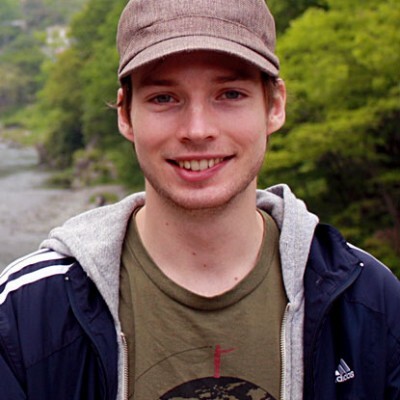 If you are in the Tokyo area or are a boulderer planning on coming to Japan soon, there are plenty of options available. It is a great way to spend the day with some friends and impress them with a show of your skills, but be careful out there. 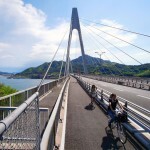 Shimanami Kaido links Imabari in Shikoku with Onomichi, Hiroshima Prefecture and is a bicycle-friendly 70km route across six islands of outstanding natural beauty.